In 2003 he was elected to the National Academy of Engineering. Over the years Dan and his work has been profiled in many major popular publications, including The Wall Street Journal, The New York Times, Newsweek, Time, BusinessWeek, Forbes, Fortune, Inc., and Business 2.0. He has also been the subject of segments on public television (including Triumph of the Nerds), CNBC, and overseas media including NHK (Japan Broadcasting Corporation). He has been repeatedly quoted in many of those publications on various technology topics, and has been interviewed on NPR, CBS Radio, and many business or technology radio programs. 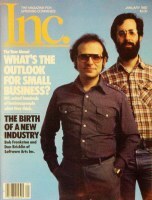 As part of one of the first articles in a business magazine about the PC software industry, Dan appeared on the cover of Inc. Magazine in January 1982. In a related story, he is shown in a collage with PC pioneers Bill Gates and Paul Allen of Microsoft and Mitch Kapor of Lotus. Dan returned to the cover of Inc. Magazine in July 1989 in an article about being an entrepreneur, including the ups and downs and dealing with failure. He was also featured on the cover of Internet World Magazine in May 2001 which included a lengthy interview with him on the use of the Internet by regular people and small business. In June 1992 Computerworld published a special 25th anniversary edition with profiles of "25 People Who Changed The World." 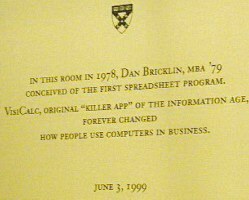 It included Dan along with Steve Jobs, Bill Gates, H. Ross Perot, and Andy Grove. Dan's profile was given the center spread. Dan was featured in the 1996 documentary "Triumph of the Nerds" that appeared on public television for many years. 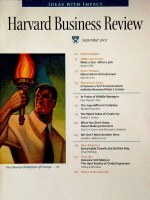 An essay by Dan was included in the September 2001 issue of Harvard Business Review. In it he discusses his life as an entrepreneur and lessons that he's learned. Included with the article was a sidebar reprint of the "What Will People Pay For?" essay from his website.